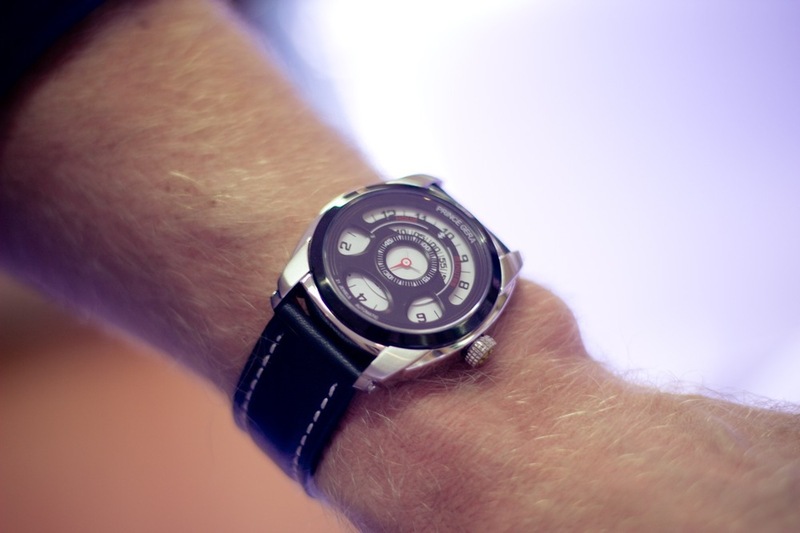 Like the last review, here's another watch that doesn't use traditional hands and indicators to tell the time. Using rotating discs instead of hands is actually nothing new, but when I first laid eyes on this 'German Inspired' watch from Prince Gera I was immediately entranced, a bit confused, but overall extremely interested. 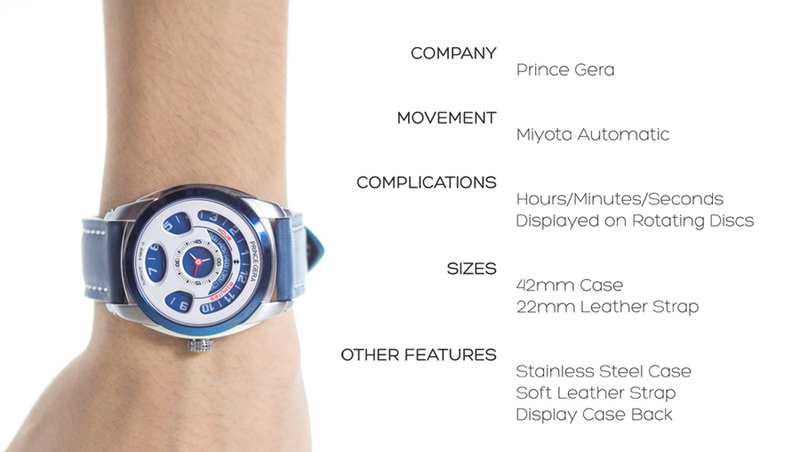 Prince Gera is a young company based out of Guangzhou, and perhaps it's that youthful confidence which led to the design and release a watch like this. 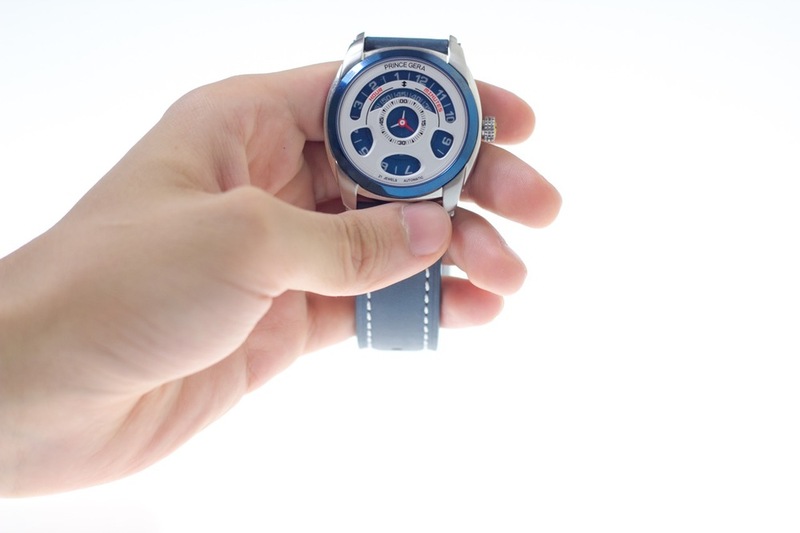 When speaking to the founder of the company, he said this watch was designed to appeal to sports car enthusiasts, and one particular car immediately came to my mind. 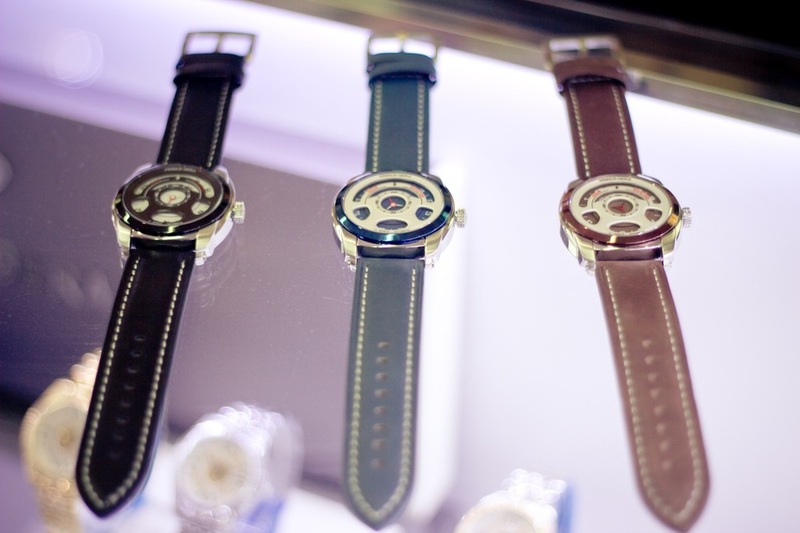 Later I asked 5 friends to look at this watch and name a sports car and 4 out of 5 had the same guess as me: Porsche. By the way, our guessing game was before I saw the marketing materials that feature this watch with a Porsche, so I'd say mission accomplished to the design team if German sports cars were indeed the inspiration. In case you're still confused, the hours and minutes are both read at the 12 o'clock position, while the seconds hand is center on the dial. In the above center picture the time is about 1:28. One thing that would be cool on future designs would be to utilize one or more of those bottom 3 openings on the 'steering wheel' dial for a date complication. The leather strap is actually very soft and feels great to wear. I think it's actually two layers of soft thin leather held together by some attractive stitching. It's a thick strap, 22mm wide, and has a big sturdy brushed steel buckle. It attaches to the lugs not with a standard spring bar, but with a pin and screws which are accessible from the outer side of the lugs. Another feature which adds interesting additional shape and dimension. 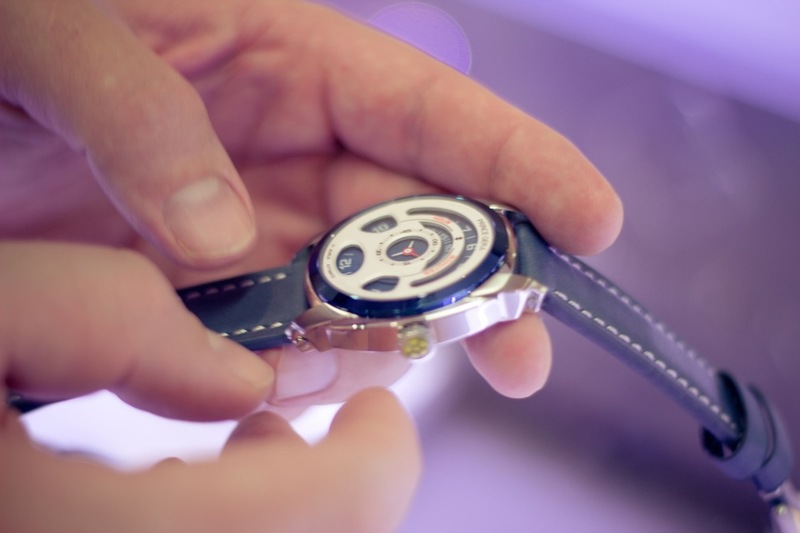 The Miyota movement is visible through the sapphire case back. So let's just talk about this....yes, it's a Chinese watch, of German influence, that uses a Japanese movement. Now forget about that...it's just a neat looking watch!